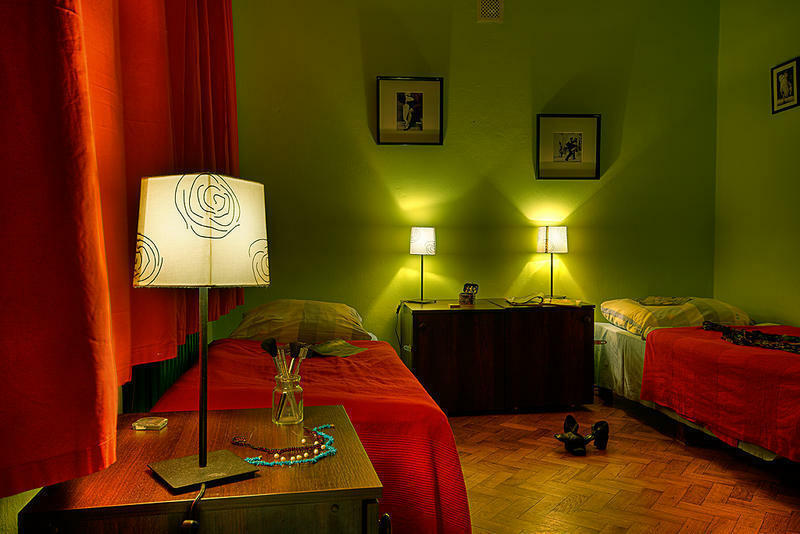 Hostel Helvetia is situated in a quiet Sewerynow Street, but you will find the beating heart of Warsaw night-life with clubs, bars, cafes and theaters right behind the corner. Basic breakfast is served from 7:30 AM and 11:00 AM in our common room. Basic version (included in price) includes: milk, musli, cereals, butter, bread, rolls, jam, tea and coffee. If you like, you can upgrade it for only 6 or 8 PLN (1,5/2 EUR). Details at the reception. Full breakfast for breakfast lovers (for 6 / 8 PLN): basic breakfast, a glass of orange juice, and one of three sets: â€œmeat plateâ€, â€œcheese plateâ€ or â€œmixed plateâ€, all served with a portion of seasonal vegetables. You can buy it at any time of the day at the reception. Nice company for free :). You can choose to stay in a dorm, in a private room with shared bathroom or in a private room en-suite. Are you a traveling family? Choose family room, where you will have plenty of space to stretch your legs after a long journey. If you choose to stay in a dormitory, spacious lockers are for your disposal. We take a 20 PLN (5 EUR) deposit for the key to the locker, which we return at the check-out. A socket and a night lamp are assigned to every bed. You can also benefit from the free luggage storage, safe, cheap laundry facilities. A shared kitchen in our common room is open till late evening hours. There are induction cookers, pots, plates and spatulas. If you prefer to stay indoors for the whole day, feel free to read our books, watch TV or movies which you can rent, or use Play Station 2, for which you have to ask at the reception. The front desk staff is at your disposal 24 hours a day. They are all students speaking Polish, English, Russian, Ukrainian and a little bit of German. They are ready to help you to guide you to great places in Warsaw, to show where you can eat the tastiest 'pierogi' ever, to share their knowledge and passion of Warsaw. They are young and all in love with the busy life of our city. The owners are travellers themselves. Both born in Warsaw, Gosia is a writer and Piotr is a photographer. When you enter the hostel, you will be immediately taken to their trips through the picks, words and stories. Dear Friends, if you are looking for loud parties, ikea style, or hotel experience â€“ we honestly admit â€“ other places will suit you better. For those, who search for a little bit higher hostel standard we recommend Helvetia Plus - our second part of the hostel. When you get off the bus, turn around and go towards the Monument of Copernicus. Before you reach it, turn left by KFC and go down OboÅºna St. Turn right at the the third tiny junction into a quiet Sewerynow St. Walk down it. After several steps you will see Hostel Helvetia's sign on your right (it's about 500 meters in total). You will reach Hostel Helvetia part, where reception is located. Take 175 bus (the bus stop is next to the Marriott Hotel). For details see above. Then follow the directions from above. The best way to buy a ticket is to find a ticket machine. You can also buy it at newsagents', usually situated near the bus stops. Ask for a single fare ticket (bilet jednorazowy), which entitles to a journey on one vehicle. Don't forget to validate it on a bus.